A strong board is vital to creating and maintaining a strong organization. The board members - individually and collectively - must be committed to the mission. That's a given. But beyond that, they need to be focused on strategy and governance and ready to support the staff in their vital work. Contact us today to find out how we can help your board excel. 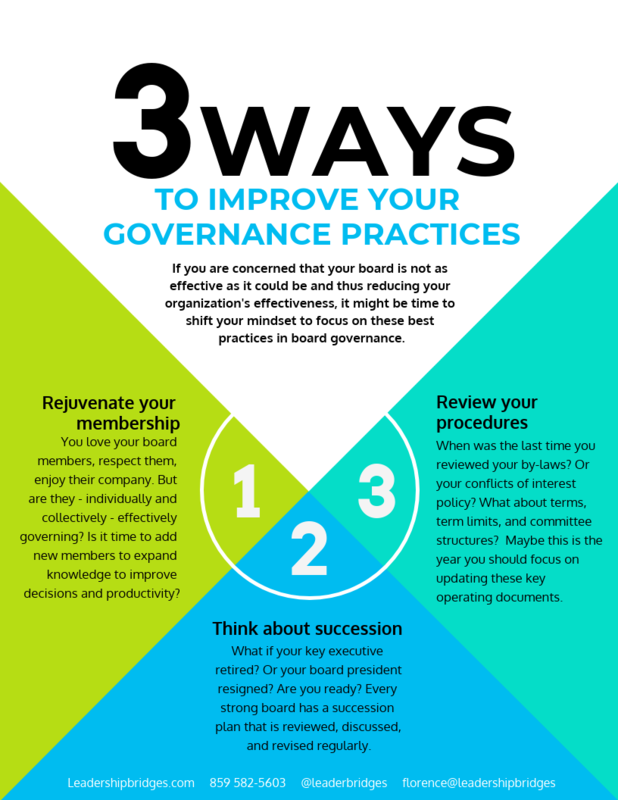 Want to improve your governance practices? Our Infographic will help you get started.